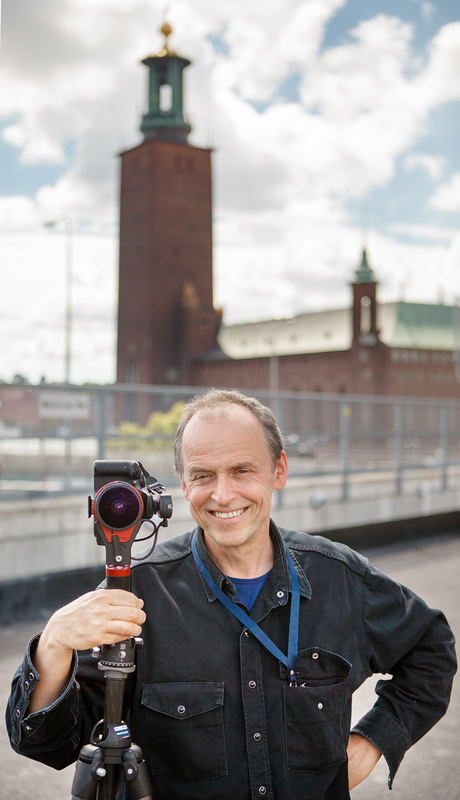 Jann Lipka is an excellent panoramic photographer living in Sweden. You can find his personal website at http://fotograf.nu/log/. When did you first become obsessed with photography? And what else are you obsessed with, besides photography? Photography was in my mind from childhood as my father worked periodically with photography. decided to give it a try with a two year photography education .
. I quickly discovered the world of curvy straight lines and that job financed a Manfrotto 303 head . ( I still use it – but only for special projects ) After a while I wanted to do that spinning QT VR pictures. And I had some luck with getting some good customers for 360 shoots. one break through was 360 virtual tour of Wikileaks server hall here in Stockholm. Are you a professional or amateur photographer? Panorama photography is quite small part of my work . It happens every couple of weeks but I work mostly locally in Stockholm. What kind of photography do you like the best? and of what kinds of things? barely possible to make because of fast movement. The frozen moment combined with 90 Mb of details – i love it. What is your opinion on today’s state of VR? Will VR, as we know it now, hit the Mainstream in the next 12 months? 360 photography is a bit gimmicky – and most people don’t really know how to explore it. So as always it is good to find customers that personally enjoy 360 imaging . “consumed” faster then in one second. but also consumer oriented Nikon and Samsung. At least 4k. 360 cameras delivered from Camera companies is a good sign.With still images I think technology is more mature – can be polished but I don’t expect miracles. 360 Video is definitely exploding but there is so much issues to be solved . I think 4K is the way to go because of bandwith and of course even that is quite data intensive. possibility that something will overheat 🙂 or break. Regular panorama from me is 120 Megapixel large and that means a lot of detail . Normal still images are almost never published in zoomable format. ( and also very much those are the values that Swedish society wants to emphasize )Open, inviting, participating, honest and engaging. I’m pretty sure that 360 video is going to be a part of regular video work . cramped interiors etc etc ) and just put a 360 camera in a middle of a room – the 360 story telling is more complex then that. Good quality 360 streaming will be a game changer for video-journalism.Still image panos using only one camera / lens will still be a niche product that needs an expert to be properly done. That is the reason this niche is mostly populated with computer people . It will get much more interesting when artists and poets will start to tell their stories. – for myself i see it as a best tool for sharing experience of ” being there “.